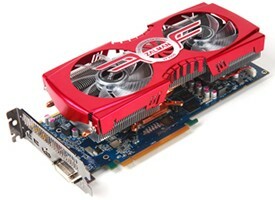 After showing off the PCB of the new design GTX560Ti days before, Colorful today releases this new graphics card and named iGame GTX560Ti Kudan. 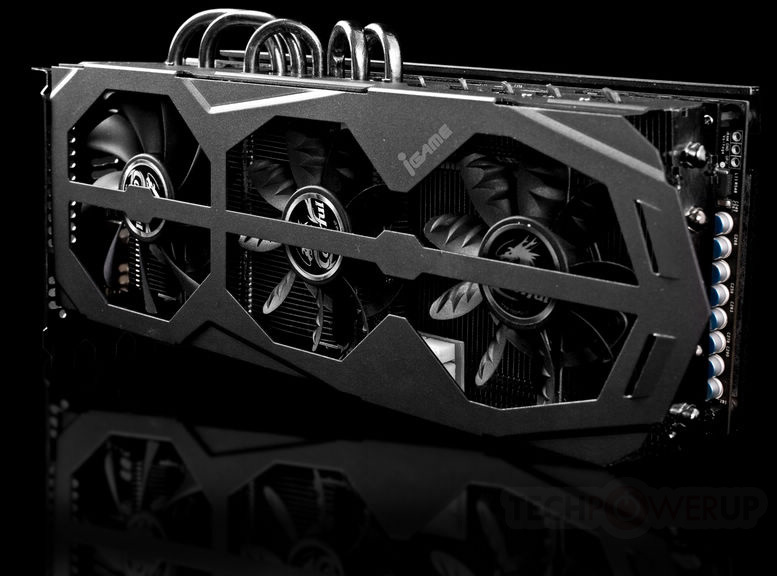 iGame GTX560Ti Kudan requires three slots and assembles three fans, one is 80mm, and the other two are 70mm which with “Shark Bionic” design in order to reduce the noise. Users need to remove the cooler to install the expansion card on the obverse side near the rear plate. Both WHDI card and Television Card are available to be installed independently to satisfy users’ requirement. There are two BIOS onboard and each of them stores a clock, and the different clocks are controlled by the button on the rear plate. When users press the button, the clock will be overclocked to 900MHz/4200MHz from default clock (820MHz/4000MHz). However, when you install the extra Power-Kit into the slot on the back of the PCB, the clock will change to the amazing 1010MHz/4500MHz. 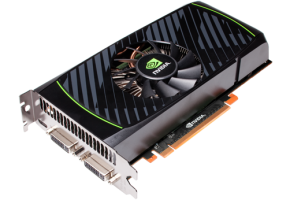 The iGame GTX560Ti Kudan has the unprecedented in dimensions of the packaging, which is up to 820mm (H) X165mm (L) X140mm (W), and with Chinese characters on it. With the huge packaging, there are three sets of accessories provided, and the quantity of the items is more than 20. The first set is called Air-Kit, which is assembled by five detachable heat pipes that draw heat from the main heatsink. 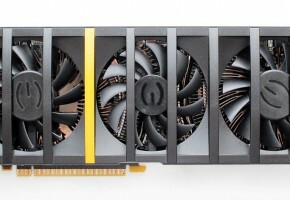 The Air-Kit can be installed to the corresponding position that previously prepared on the graphics card, and can efficiently reduce the heat of the graphics card. The second set is called Power-Kit, which is introduced in the previous paragraph. 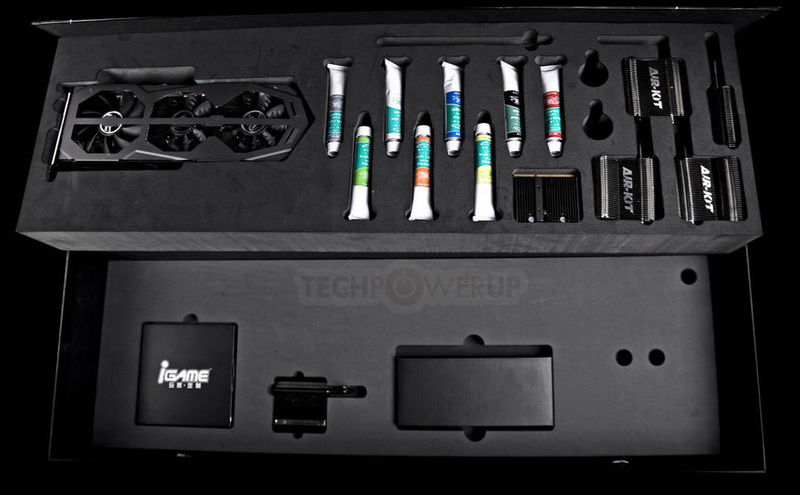 The Power-Kit provides extra six phases of VRM, and have a “Monster BIOS” equipped. It is the first choice when users overclock this card after installing the Power-Kit. The third set is called Color-Kit, which is made up by acrylic paints and brushes. It is provided for those users who have interest of painting on the shell of the cooler. The expansion WHDI card and Television card for the front PCB slot is not provided in the accessories, Colorful may sell them separately latter. 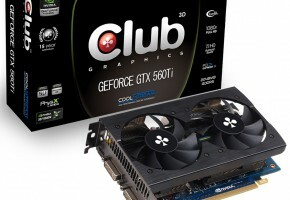 The retail price of iGame GTX560Ti Kudan is not mentioned at present.